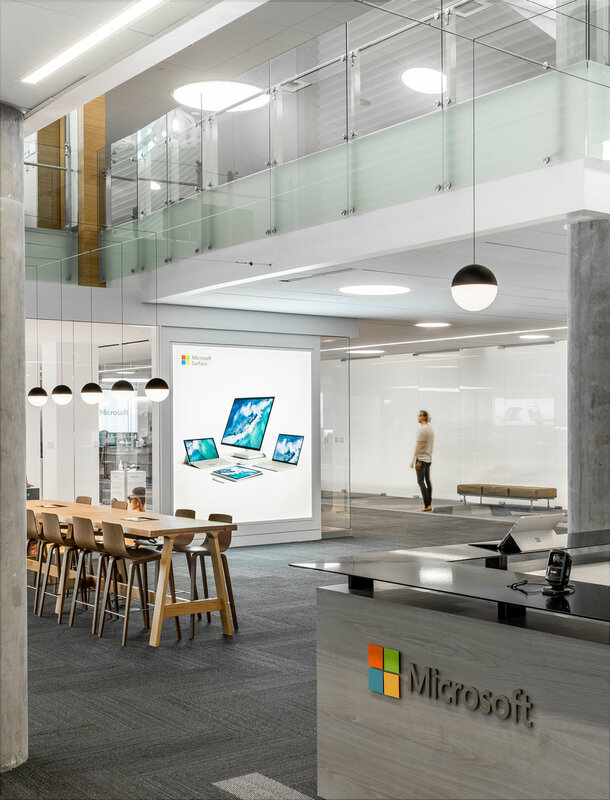 Microsoft welcomes thousands of visitors a year to Building 92, home of its Visitor Center and Store. 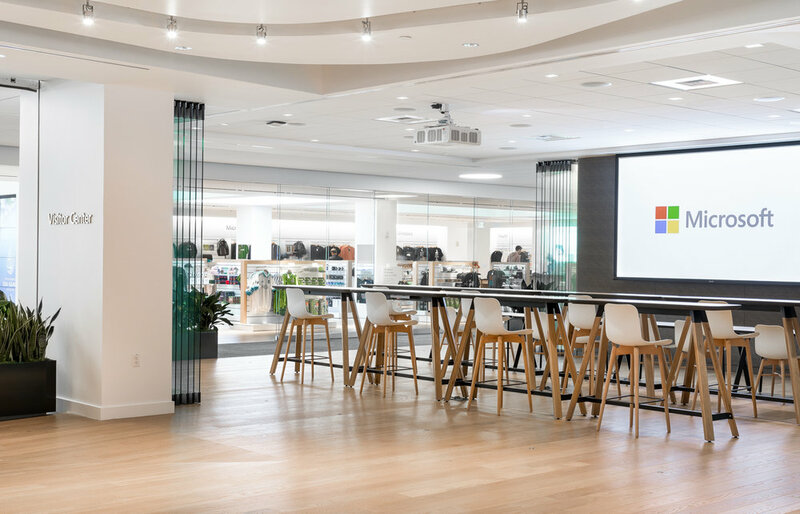 The renovation of the lobby and visitor center entrance unified the spaces and included a full retail Microsoft Store (not designed by SkB). The 360 desk is the focus of the welcoming lobby, approachable from all sides and fully integrates inclusive design features. A neutral palette sets the stage for dramatic Store graphics and product displays right off the lobby. Textural and patterned carpets zone the spaces. Seating groupings provide varied settings for individuals, families and touchdown work. 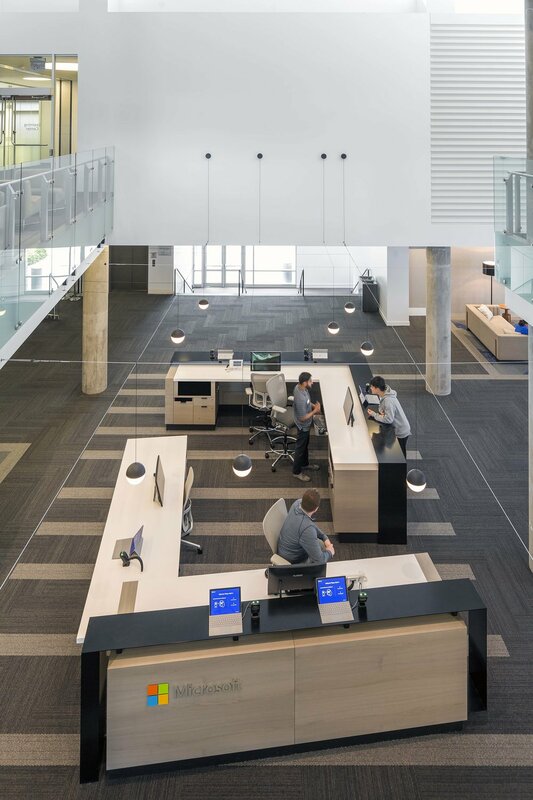 String lights animate the existing two-story atrium volume above the reception desk. The store entries face a more open visitor center entry and new flexible theater space.